Find out how the York County YMCA in Pennsylvania saw significant gains in membership and participation by investing in LES MILLS programming. The YMCA of York and York County operates four branches within the parameters of York County, Pennsylvania and serves a diverse base of members living in both urban and suburban areas from different ethnic, religious and socio-economic backgrounds. After nearly two decades of working with the YMCA of York and York County, Cori Strathmeyer, the Director of Healthy Living, took on the responsibilities of managing the group exercise programs in 2011 and began to assess their vitality. “Unfortunately, what I saw was the programs at our downtown branch – and to some extent our other branches – had gotten very stale. I’m not exaggerating when I say that we had been teaching the exact same 9 a.m. step aerobics class for 19 years. It was down to the same three ladies who came to every class. There were no new people. At one point it had been thriving, but I realized that it was time for a change,” says Cori. Other times of the day weren’t performing well either. Although the 5:30 p.m. group class was full, after 6:30 p.m., the group room cleared out and no one stayed for other classes. Evening yoga classes only had a few participants. Cori became motivated to explore alternative group exercise programs that would re-invigorate the YMCA’s programming and provide supplemental training opportunities for instructors beyond the base certifications YMCA provides. Yet, new programming would still need to deliver the high-quality and approachable exercise experiences on which the organization prides itself. Research-based programs. The choreography, repetitions and movements are based on science. A world-class development team that includes medical professionals and leading sports physiotherapists designs all LES MILLS programs. Progressive movement options are given for every exercise to allow participants of any and all fitness levels to safely challenge themselves and achieve optimal results. Accountability for instructors. Cori says LES MILLS instructor training has elevated the accountability for YMCA instructors. 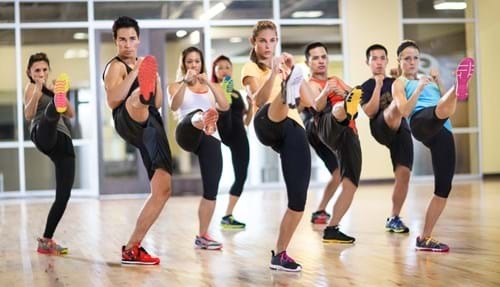 The rigorous training protocol includes a weekend workshop and video assessment test to ensure the instructor has mastered the choreography and can demonstrate proper form. 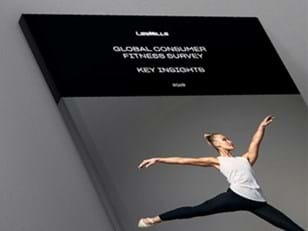 Research shows that fitness managers and facility owners rate LES MILLS programs as having the best instructor training. This allows the programs to be consistently delivered at all locations and empowers participants to achieve the best results in a safe and encouraging environment. Growth potential. Because LES MILLS offers 13 different programs, a facility can start with just a few and know that different programs can be added as demand grows. The programs are marketed and delivered in a consistent way, which was a high priority for Cori as the number of class offerings expanded. Continuously fresh material. LES MILLS issues new program releases every three months with new choreography and music, so instructors are repeatedly challenged to learn a new program release and are re-inspired to keep each class high energy and engaging. This also provides an opportunity for the programs to be improved based on the latest fitness research and refreshed with new chart-topping music tracks. Cori was mindful to integrate information about the new LES MILLS programs in almost all of the outreach YMCA of York and York County did in order to launch the programs. This included putting flyers in the gift bags at the local Turkey Trot 5k race, writing about it the “No Sweat York” blog in the local newspaper, as well as teaching free classes as a part of “No Sweat in the Park,” where up to 100 people came to participate in a free, outdoor BODYCOMBAT® class. “We immediately had new members join, some of them specifically because we added BODYCOMBAT…because they had taken it elsewhere before. The name recognition of LES MILLS was great,” says Cori. The YMCA of York and York County continues to promote the new LES MILLS program releases four times a year and has plans to give two of the four releases extra attention. 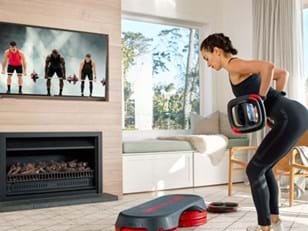 They are also planning to add a dedicated LES MILLS page to their web site, and they continue to provide news about the programs on social media and via e-newsletters. The branch continued to offer group exercise classes that were targeted to active, older adults and dance-based classes from another provider. It also offered short classes three days a week during the lunch hour to appeal to the corporate workforce in downtown York. While still maintaining freestyle classes, adding LES MILLS to the mix drove attendance to nearly all the group programs offered. “All of our class numbers are up, and there are a lot of reasons for that, but honestly, I think it really started with the change to our group fitness classes, and a big part of that was LES MILLS,” says Cori. Before the introduction of new group fitness programs, classes at the downtown branch primarily ended at 6:30 pm. With the addition of more classes, people started staying until nearly 8 pm, and the diverse class choices appealed to new demographics. Being a YMCA, the facility always had plenty of family-oriented members and members in the age range of 50 to 68 years. Now the facility has attracted more members in their early 30s. With more room to grow and develop that audience, Cori is considering adding more higher intensity programs that she would not have considered before. “We’re really trying to develop memberships among millennials. We want to reach them so they stay with us for a long, long time.” And she knows exactly whom she can turn to for support when she’s ready to roll those out.